Robert Schultze has worked in various facets of the real estate industry for 35+ years, including 12 years in fee appraising, nine years in sales, six years as a manager of an appraisal office, two years as the agent-nominee of a sales office, and most recently 21 years in municipal property assessment with 19 years at the managerial level. He earned his AACI in 1998, his CAE (International Association of Assessing Officers) in 1999, and his provincial assessment appraiser licence in 2002. During his 12 years as a fee appraiser in Abbotsford, BC, he completed appraisals on residential, multi-family, commercial, industrial and agricultural properties. As an assessment appraiser, he worked on the full range of commercial and industrial properties in the City of Regina and represented the City in assessment appeals at both levels of appeal in the Province of Saskatchewan. He has seventeen years’ experience working for three professional associations as a member and Chair of various committees, and on executive council as Director and President. A significant portion of this time was spent in direct interaction with the Saskatchewan Provincial Government in establishing the regulatory practices of the province’s legislated Saskatchewan Assessment Appraisers’ Association, and in bringing the association in line with the Agreement on Internal Trade in recognizing the qualifications of professionals from other provinces. 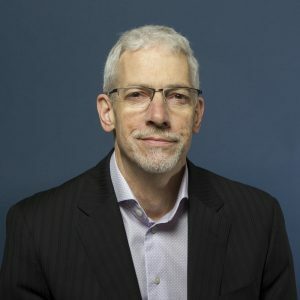 Robert has been a member of the Investigating Sub-Committee of the Professional Practice Committee of the Appraisal Institute of Canada (AIC) since 2013, and has also acted as a Peer Reviewer and Work Product Reviewer. As well, he has mentored numerous appraisal students in both fee appraisal and assessment appraisal settings since 1990. He is very familiar with the inner workings and issues of both legislated and non-regulated professional associations, both at the committee and executive levels. He brings strong verbal and written communication skills, having made presentations at various provincial, national and international conferences and meetings, and having authored numerous articles and documents.